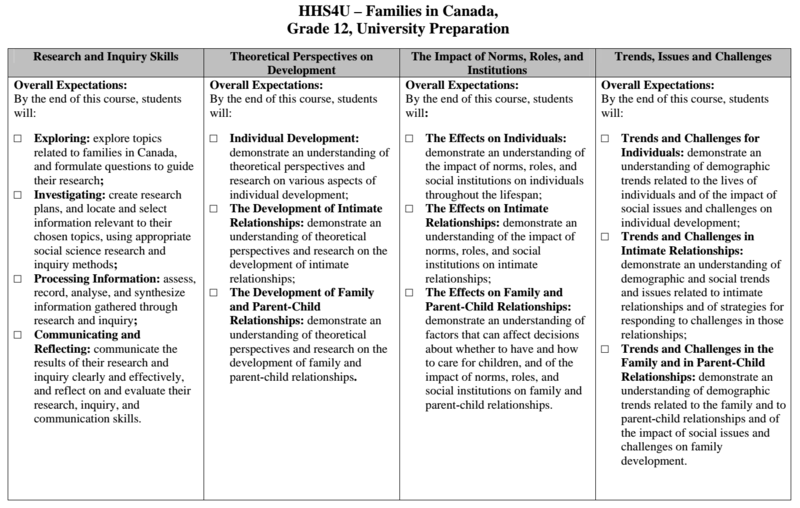 Course Description: This course enables students to develop an understanding of social science theories as they apply to individual development, the development of intimate relationships, and family and parent-child relationships. Students will explore a range of issues relating to the development of individuals and families in contemporary Canadian society as well as in other cultures and historical periods. They will develop the investigative skills required to conduct research on individuals, intimate relationships, and parent-child roles and relationships in Canada.